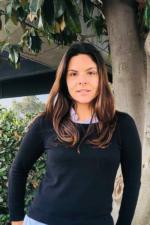 Welcome New Dairy Advisor for Fresno and Madera Counties – Dr. Daniela Bruno! UCCE has hired a new dairy advisor to serve Fresno and Madera counties. Dr. Daniela Bruno earned her DVM from the Universidade Federal de Minas Gerais (Brazil) and her PhD in Comparative Pathology from the University of California, Davis. Throughout her professional and academic career, Daniela carried out work related to animal health and welfare, food safety, milk quality and mastitis, wastewater management, and dairy systems management. She plans to help producers in Fresno and Madera counties through programs dedicated to improve sustainability of dairy operations, including animal health and animal welfare in dairy cattle, also addressing environmental issues and regulations, and other critical topics. She looks forward to meeting producers and community members to help develop strong relationships and provide meaningful programs. Daniela can be reached at (559) 241-7552. The objective of the dairy extension program for Fresno/Madera Counties is to provide dairy producers and dairy related businesses with practical, research-based information. To assist dairy producers in making their operations compatible with current and future environmental concerns. An effort is also made to conduct an applied research program to solve local dairy industry problems.